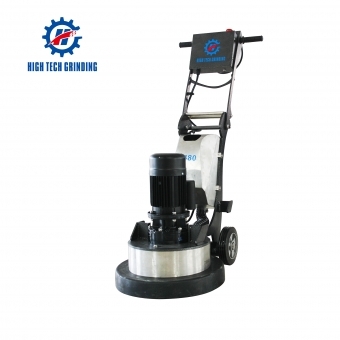 Product Description Features and Advantages: It's especially suitable for the high precision requirement concrete surface grinding and construction work . 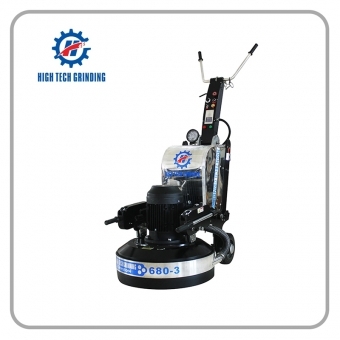 The machine has the advantages of time saving, labor saving, high efficiency . 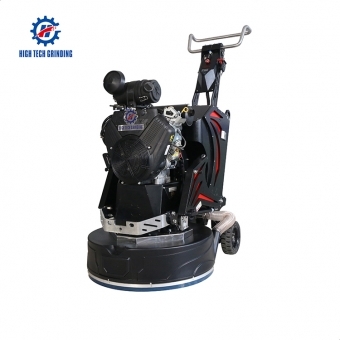 1.Four heads grinder with planetary abrasive plate ,offer more stronger power to grinding head to make sure concrete grinding and let operates more smooth . 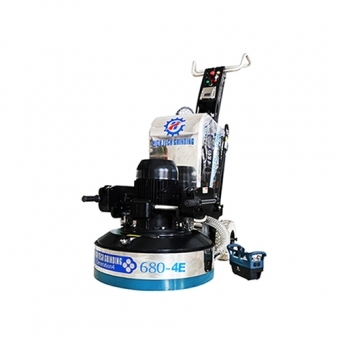 2.850mm working width improve work efficiency ,four heads with each 10inch plate ,each plates planetary counter rotation reduces the grinding machine's deviating force then it helps to lower grinding strength and easy to grip machine. 3. 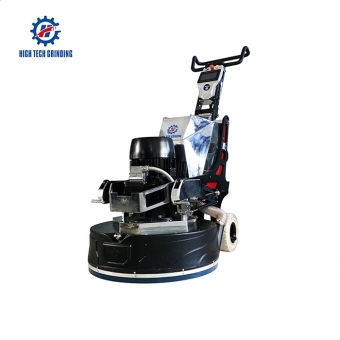 Three grades disc pressure adjustment ,special addition weight design make machines are even more capable of handling extra weight and tolerate power issues well. 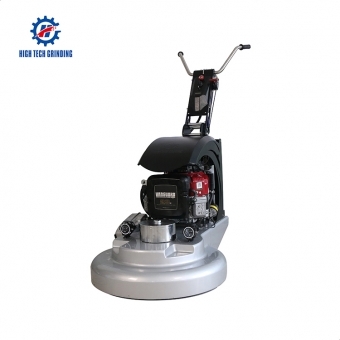 4.The head design of the High tech grinder 800-4P uses high sealing mechanism and the spring damping system to act as a suspension system. It keeps the diamonds engaged to the floor even over birdbaths and humps. 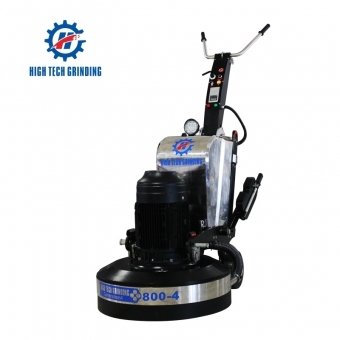 This allows your diamonds to perform at their best and give you an even grind 5.Machine has a special balancing device which enable grinding more evenly and more easily to leveling the ground. 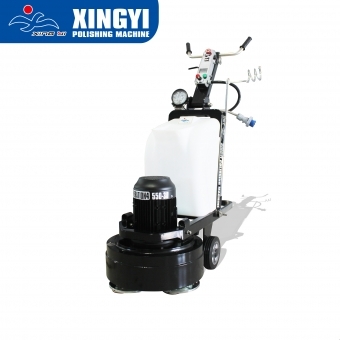 6.This machine can be used to provide fuel for gasoline, natural gas, gas, propane, etc.. d Sadi Arabic etc countries to offer our system solutions on polishing of concrete ,granite and tank stone .and we visit the distributors every year to solve the customer's problems in site. 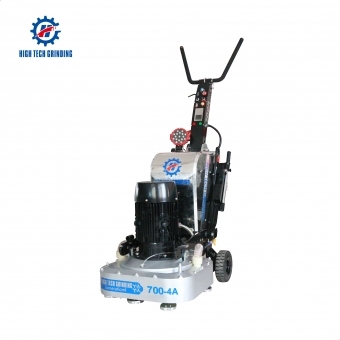 Product Description Technical Parameters: POWER 15KW/20HP ROTATING SPEED 450-1950RPM WEIGHT 555KG/1224LBS VOLTAG 220-240v/380-440v WORKING WIDTH 800mm INVERTER 18.5KW Show details Features : 1. 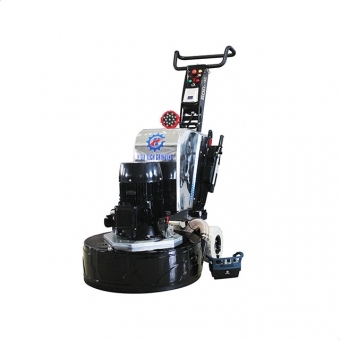 Remote control system for easy operation of the machine 2. 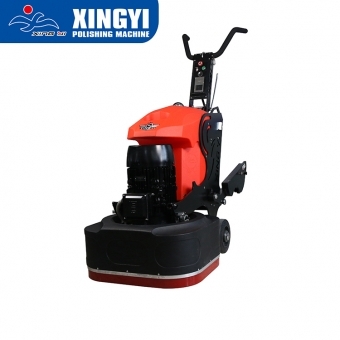 The bottom consists of four grinding discs, which have a larger contact operation area and improve work efficiency. 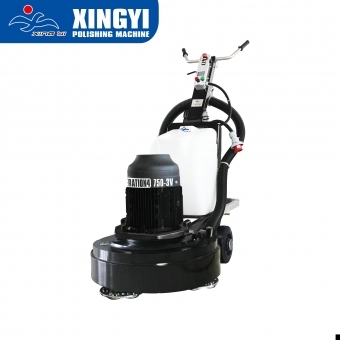 3, mechanically equipped with lighting, work is not affected by the environment 4.B stainless steel water tank, large capacity, loading more water 5. Further development of the grinding head can reduce maintenance costs and extend service life. 6. Ergonomic design. 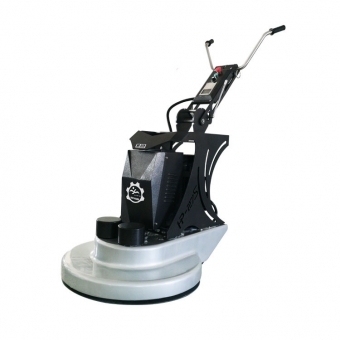 Load and vibration damage is minimized because the machine can be operated remotely. Packing & Delivery Our Service Customer first,perfection oriented. we offer our clients technical service across the world. 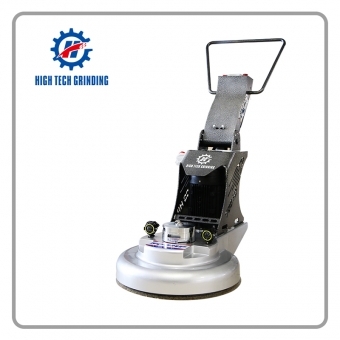 Our Certifications Customer Evaluation Company information We are the one of the biggest system integrates which providing Full-floor polishing products and service in China. Not only we are a factory,but also have our own engineering company. Any questions about the machines or projects,we can give you a free technical guidence.We have a 34 foreign offices across the global so that we can provide an extremely details and customer support. Our annual international floor treatment seminar is more and more popular among famous connoisseurs. 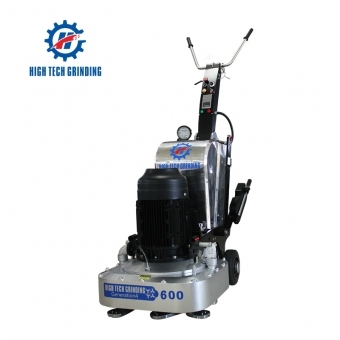 Floor grinder HTG-600 will be packed in standard export wooden case,concrete grinder HTG-600 could bring you surprise in polishing project. 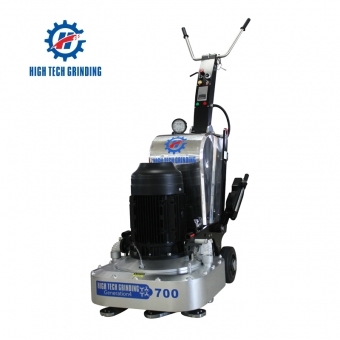 used concrete floor polishers for sale HTG-700 leading to a new age of floor polishing.